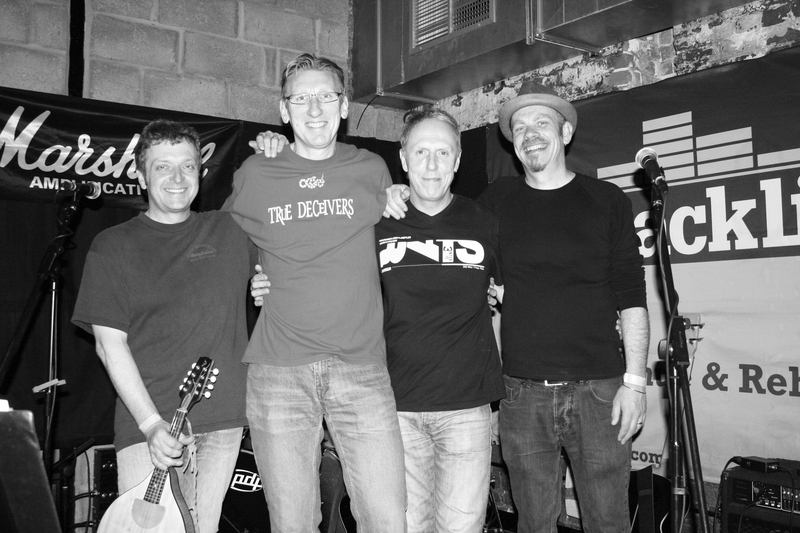 FIVE years on from their last release, Lies We Have Told, there’s been a lot going on for the True Deceivers, the band’s usual array of back-to-back live shows and festivals rocked by the premature passing of fiddle player Mark Mitchell. Hell Or High Water is dedicated to the memory of Mark, ‘our friend and bandmate’, and it’s a fitting tribute too, his spirit a key component of the recording vibe. It’s a reflective album, for sure, but there’s plenty to look forward to and celebrate as well, and you get the feeling this band have become all the stronger – thrust together in a bid to do him justice. The song-craft of Nick Bliss and Graham Firth shines throughout and helps set this Surrey-based four-piece (augmented here by Rupert Lewis on fiddle) apart from many contemporaries. They’ve certainly done their apprenticeship on the pub, club and festival scene, with Firth’s voice and Bliss’ harmonies all the more effective now, and a solid-as-ever engine-room stoked by Dee Coley on bass and Jamie Legg on drums. Bliss’ craft was honed at the heart of the Blazing Homesteads, and at times I wonder if the True Deceivers might benefit from occasional vocal contributions by their chanteuse Chris Franey, or even a little Steve Earle-style true grit. That’s no criticism of Firth, who certainly impresses here, but sometimes maybe he just needs a foil, something The Men They Couldn’t Hang and lesser-known but no less impressive indie outfit Bob benefitted from, bands with singers reminiscent of the True Deceivers mainstay. Yet whereas Bob, superb live, under-impressed in the studio, the True Deceivers are mastering that art, judging by this collaboration with engineer Guy Davies at Guildford’s Empire Studios. And while there’s an over-reliance on Firth’s lead vocal, Bliss’ harmonies and regular switches in tempo and style keep the band fresh, helped by the strength of the songs. Opening track Time To Mend A Broken Heart is a great example, an upbeat track that is perhaps as close to new wave folk as the band get. I’ve never been one for labels, but I mention the genre in its wider sense, easily seeing the True Deceivers on the same bill as acts as diverse as Seth Lakeman and 6 Day Riot. The Sun Always Shines On Me sees an early gear change, Firth’s lyric and style more reflective in his answer to Richard Ashcroft’s Lucky Man, showing his own verve and belief in the simple pleasures of this world. And if you look really closely, you can see the sun appear from behind the clouds at that stage. If that all sounds saccharine-rich, Bliss’ guitar keeps you on your toes, and then we’re on to title track Hell or High Water, still a stand-out track after a few listens. Bliss’ mandolin brings to mind a slower tilt at Paul McCartney’s Dance Tonight, its slow-build quality augmented nicely by Dee’s plodding bass in a song of intent and inspiration. If Nick’s words can seem a bit join-the-dots at times – never too far from cliche – the music pulls them through, and it works – a few timely chord changes ensuring more edge. On Still Living There we have a Bliss/Firth mood change, five-string guitar nicely complemented by Lewis’ wistful fiddle. There’s a more melodic country feel on another fine Bliss song, Wishing My Life Away, a suitable soul-mate for their live favourite You Ain’t Going Nowhere, the Bob Dylan song they tackle with such Byrds-like grace. While that may sound reminiscent, they somehow make it their own – adding a Songs From the Wey Delta* feel, if you like, something perhaps borne out of all that mud and sunshine on the festival scene these past few years. That’s definitely the case with the next song, borrowed from ex-bandmate Allan Broad, his What Scares You perfect for those warm summer nights by the river’s edge, yet saved from being too introspective by a sense of urgency supplied by Coley and Legg. A festival band always needs good covers, and we get that on a storming version of The Jayhawks’ Tailspin – another highlight – then the Gin Blossoms’ Cajun Song, both revealing further the band’s often-gorgeous influences. The latter is sandwiched neatly between two more quality Bliss compositions, Bridges and final track You Don’t Want to Start From Here, and the former serves as the title track part two, while each showcases the band’s alternative country and rock roots, bringing to mind for this scribe ’90s US acts Counting Crows and Hootie & the Blowfish. By that design, perhaps the True Deceivers have a future across the pond too, but they execute it all with a Home Counties touch, and like Bruce Foxton guesting with The Mavericks during Cajun Song. But until that American break, we’re more than happy to keep them here on home soil – bringing a little more sunshine and playing and recording songs a former band-mate would be proud of. * Before I’m marked down for my geography homework, I know there’s no delta on the River Wey, but it just sounds right … okay? 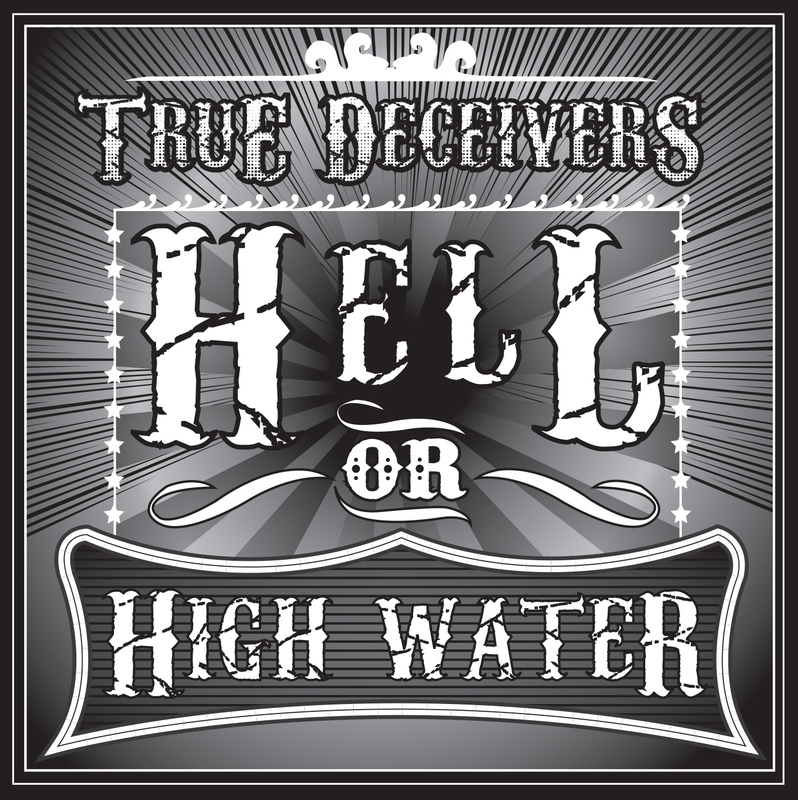 True Deceivers – Hell or High Water (TTDCD01) will be available through the usual channels (iTunes, Amazon etc) from December 1st, 2012. 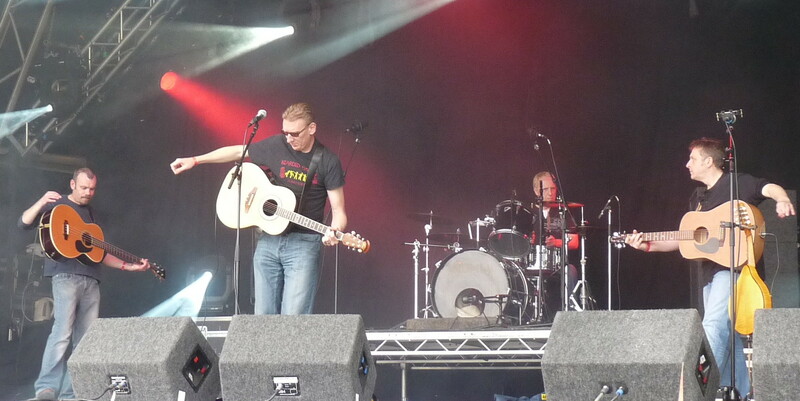 This entry was posted in Music and tagged Dee Coley, Graham Firth, guildford, Hell or High Water, Jamie Legg, Mark Mitchell, Nick Bliss, Rupert Lewis, Surrey, True Deceivers. Bookmark the permalink.